Home ms dhoni India vs New Zealand:- MS Dhoni misses 2nd successive ODI due to injury. India vs New Zealand:- MS Dhoni misses 2nd successive ODI due to injury. 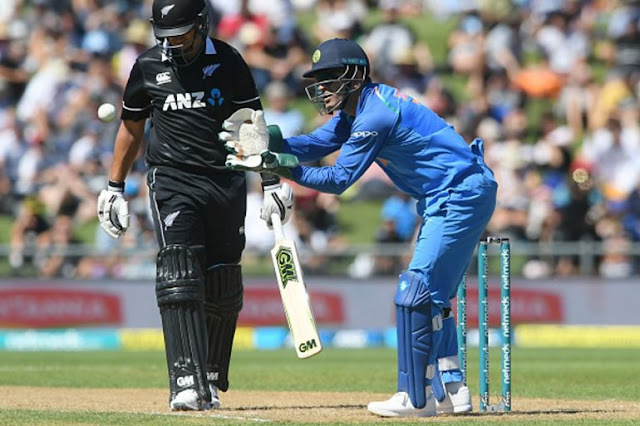 India wicketkeeper-batsman has missed the ongoing fourth ODI for the 5 match series against New Zealand in Hamilton as he has failed to fully recover from a hamstring injury. Dhoni had not been part of the playing XI for the 3rd ODI in Mount Maunganui. MS Dhoni had trained in Hamilton on Wednesday, raising hopes of an immediate comeback but the India team management, India Today had learnt, didn't want to take any risks when it came to the veteran's fitness, especially in the lead up to the important limited-overs assignments. Dhoni had missed the 3rd ODI, which India won by 7 wickets and sealed an unbeatable 3-0 lead in the series, in Hamilton. He picked up a sore hamstring during the second ODI in which he made a 33-ball unbeaten 48. The Hamilton ODI was the 1st time in 6 years Dhoni missed a match due to an injury. He had missed three matches in 2013 during India's tour of West Indies with a similar hamstring issue. Notably, as of Monday, Dhoni had missed only 5 ODIs in the last 14 years due to injury concerns. He had skipped one match each against Ireland and South Africa in 2007 due to viral fever.